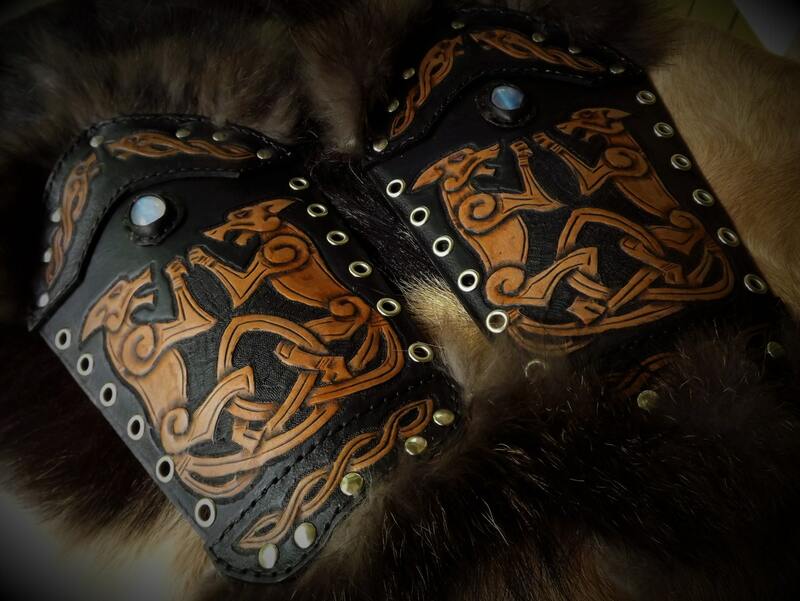 These bracers come in pairs and feature a design inspired by viking and celtic cultures. They also come with grommets in the lace holes and black paracord to use as lace. Please contact me with your design ideas or desires for a completely custom set of vambraces / bracers / armguards. This product features a custom design, custom inlay, and fur trim. 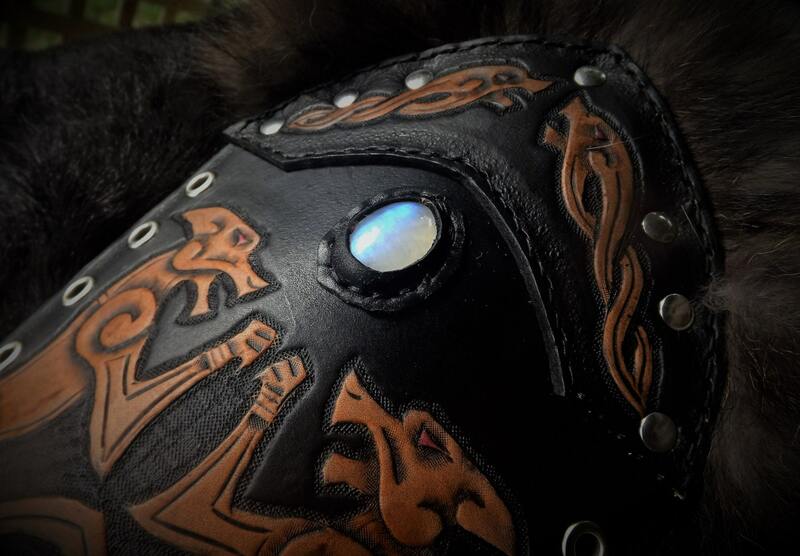 Everything is completely designed and built to your specifications, so please contact me to make the perfect pair of bracers for you. Every product is made the hard way, completely by hand. I start out with natural, vegetable tanned leather in the optimal thickness for the product. The leather is cut by hand into all the necessary components to complete the product. Then, I do all the edges and tooling by hand using traditional tools and techniques. Next, I utilize eco-friendly dyes to paint, dye, and antique each piece before assembling the final product by hand.